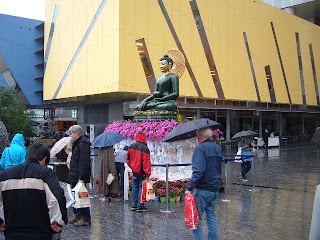 Today (Sunday) was a rainy day so no day trips away from home, we decided to go and see the Jade Buddha statue which is visiting Brisbane for 4 days before it tours the rest of the country and then around the world. 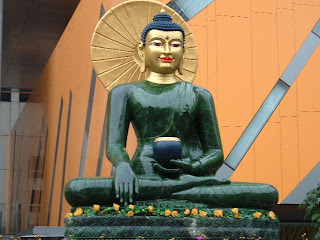 Its 2 3m statue carved out of a solid jade boulder originally found in Canada in 2000 and weighing 18 tons. Thai craftsmen spent years painstakingly carving the statue. 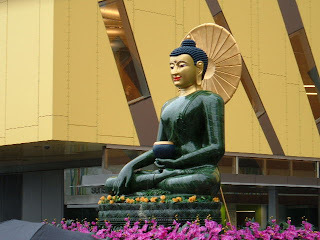 It is intended to promote world peace during its travels. Here's the website.....I see it visits the USA but not Europe.